Pit Downtown Barbecue | "Show us your pits"
The building this joint was in once belonged to Susannah Dickenson, a survivor of the Alamo and the structure was moved across the street and is now a museum. It's one of the oldest buildings in Austin. The house once sat where the Hilton downtown now dwells. It was once encased inside the Pit, a barbecue restaurant, and was nearly demolished in 2000. 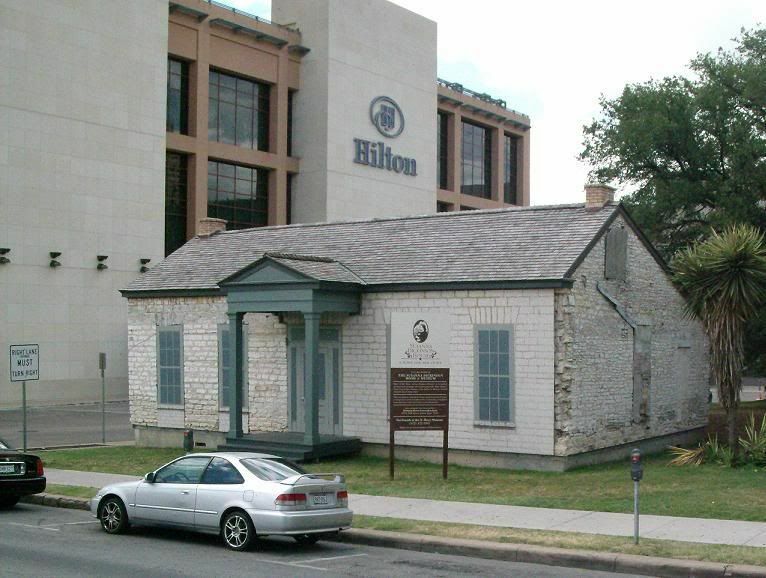 Historians and city leaders wanted to save the home and its detached kitchen, so the Hilton's developer paid for the structures to be moved across the street to Brush Square.